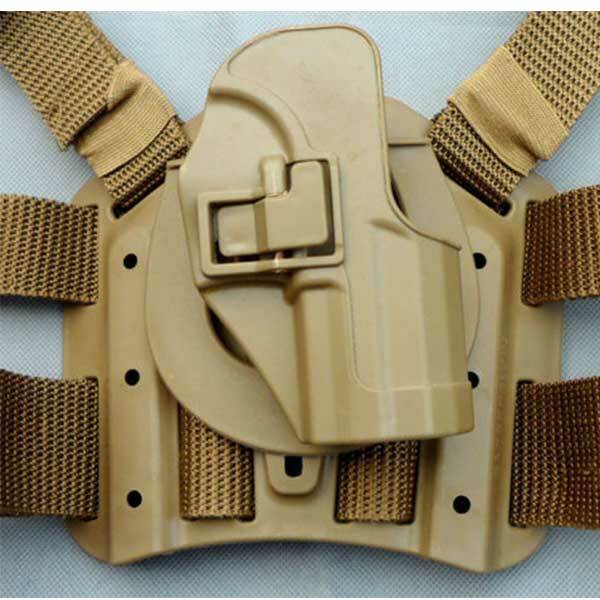 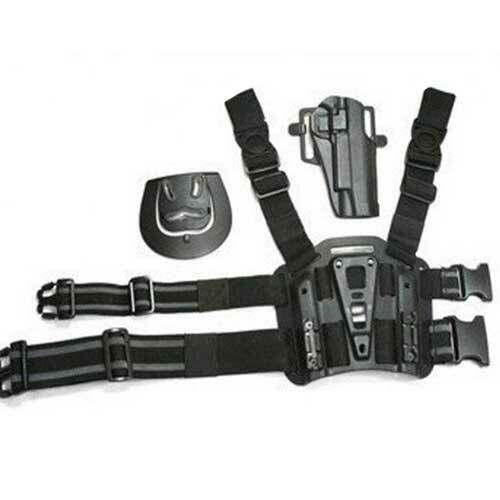 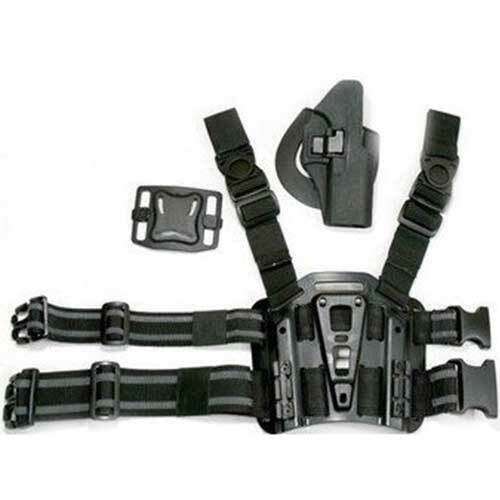 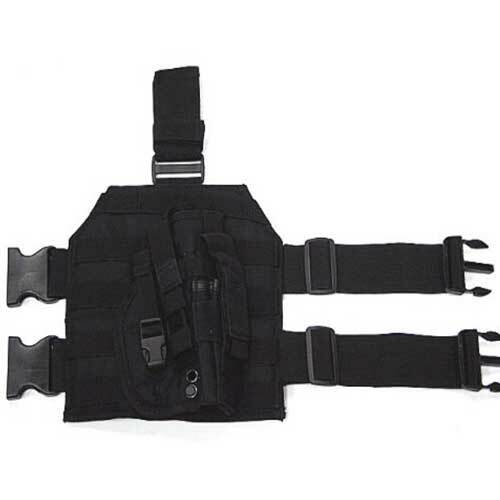 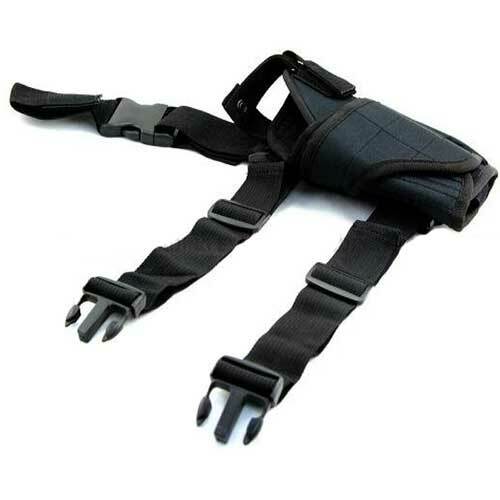 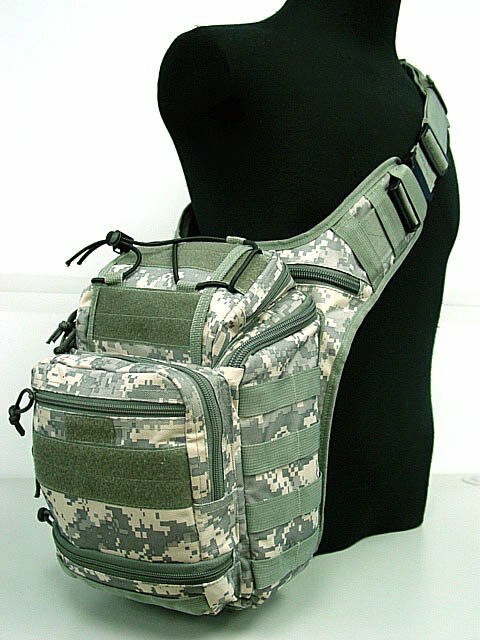 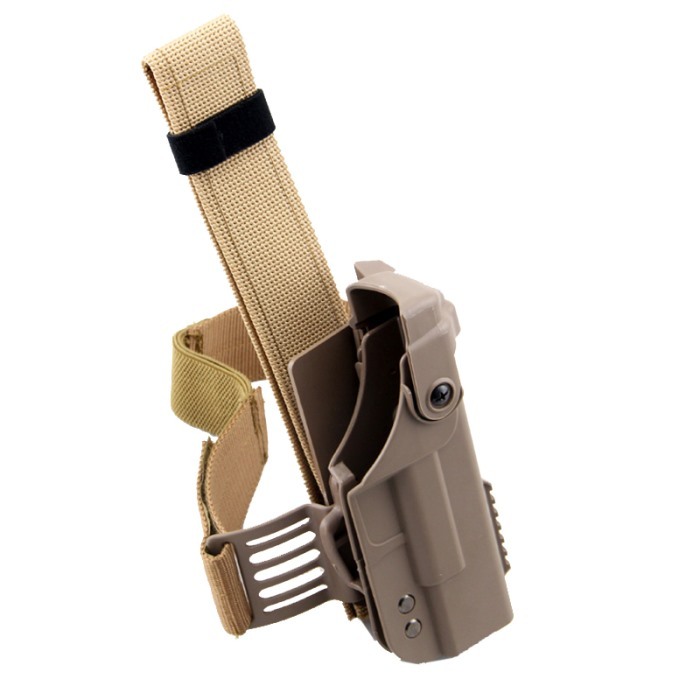 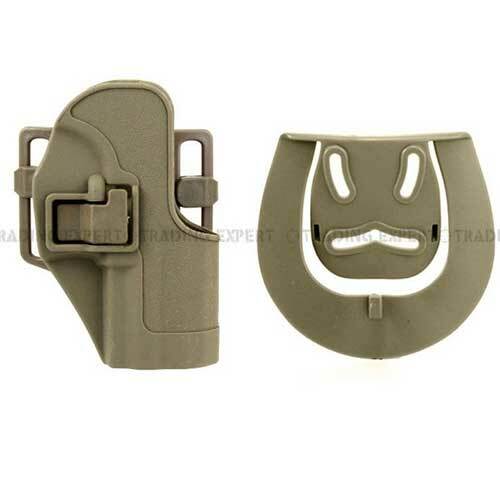 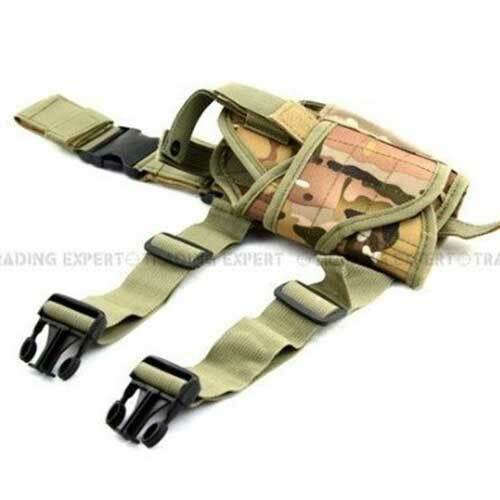 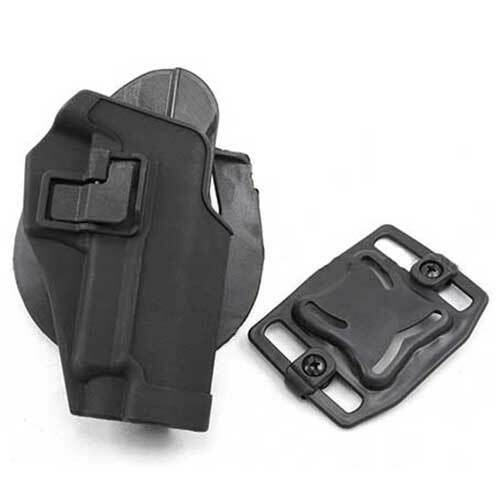 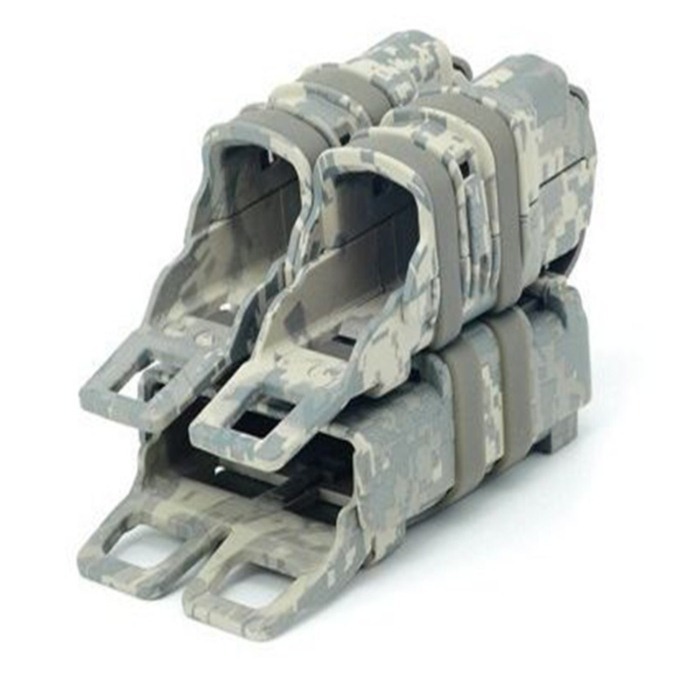 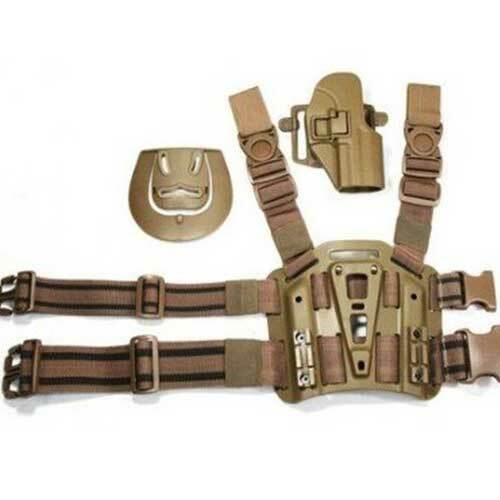 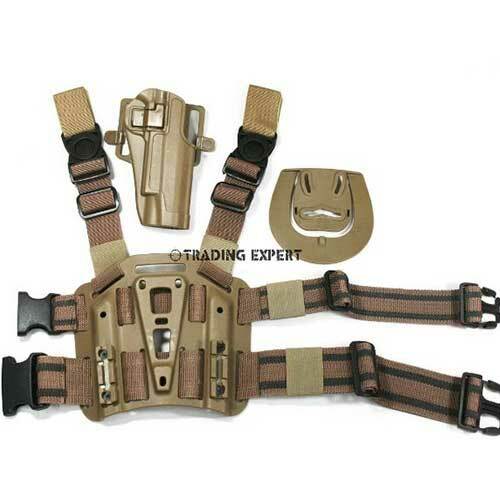 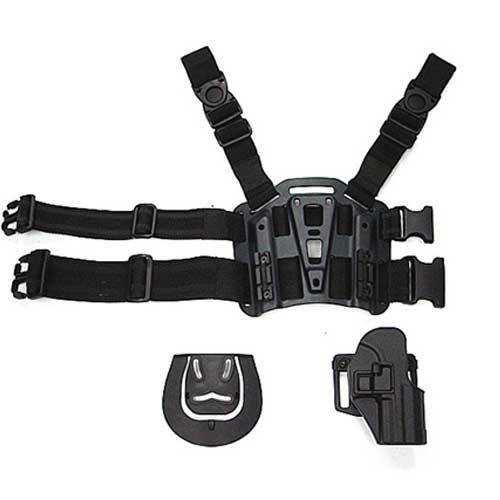 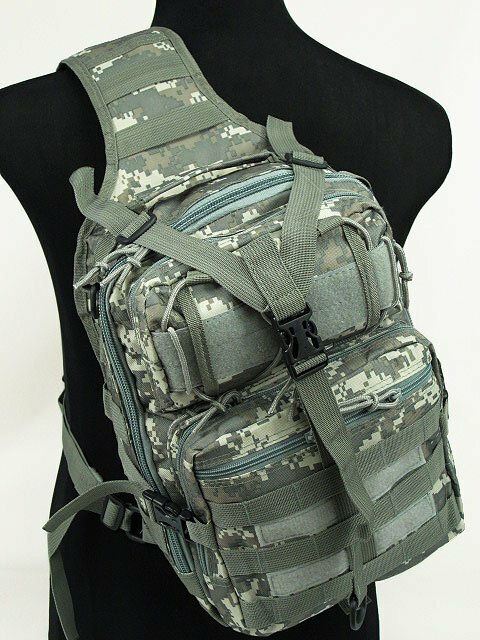 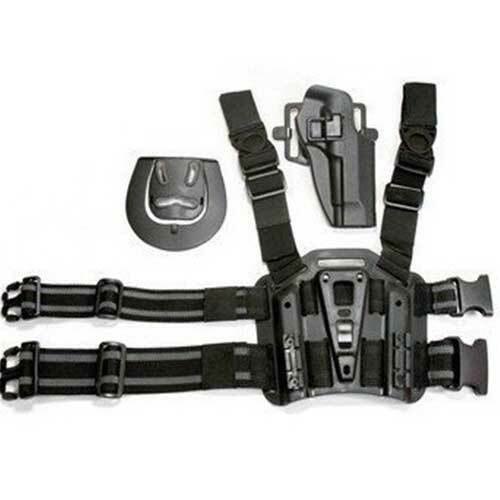 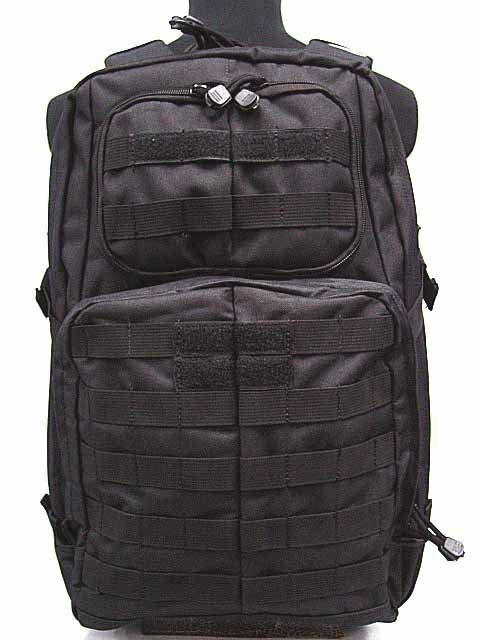 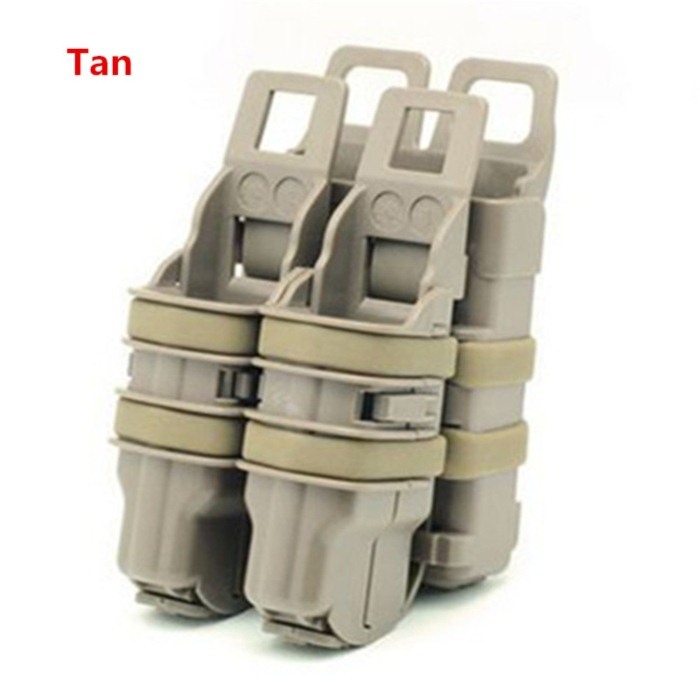 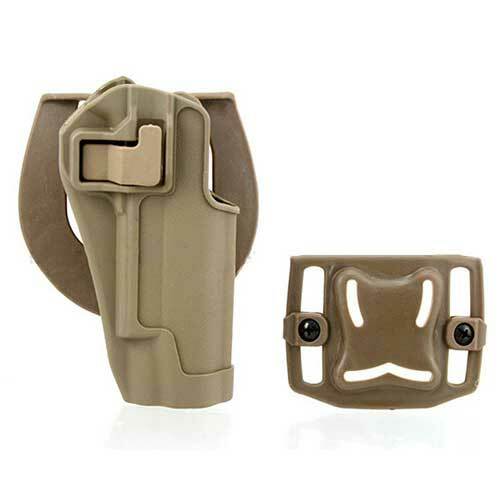 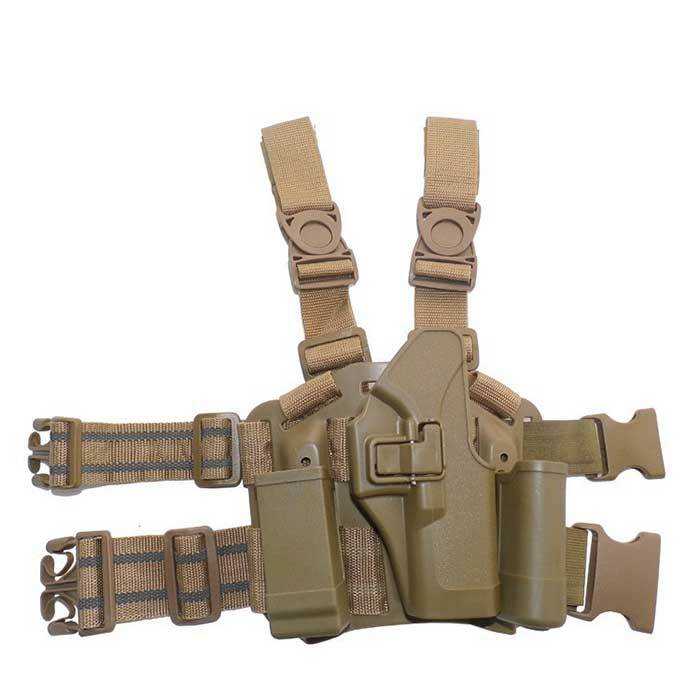 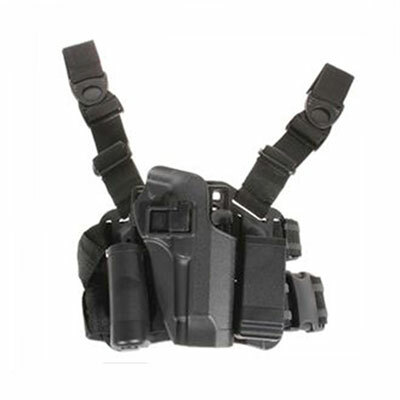 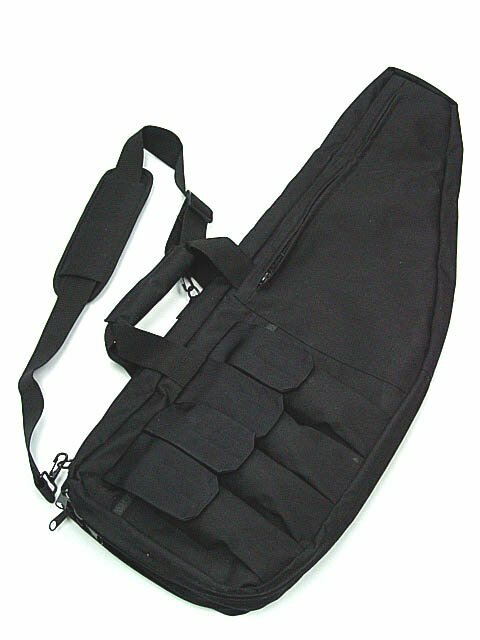 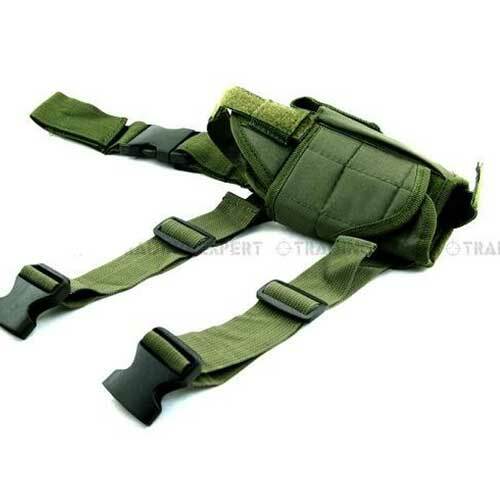 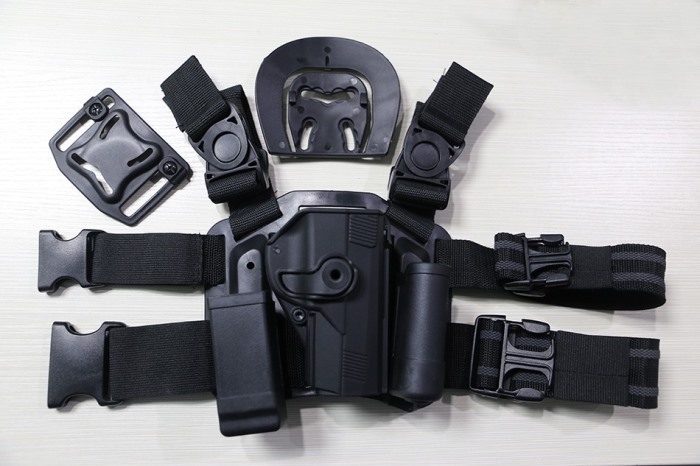 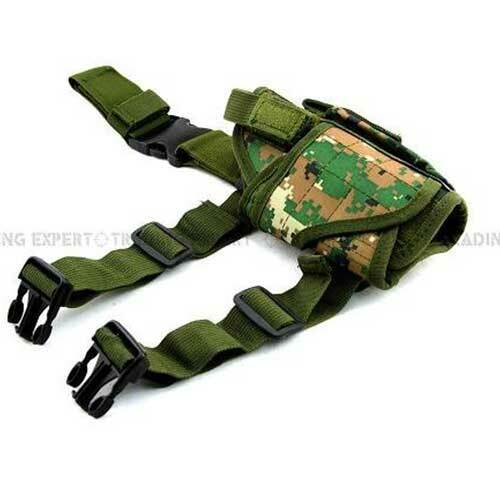 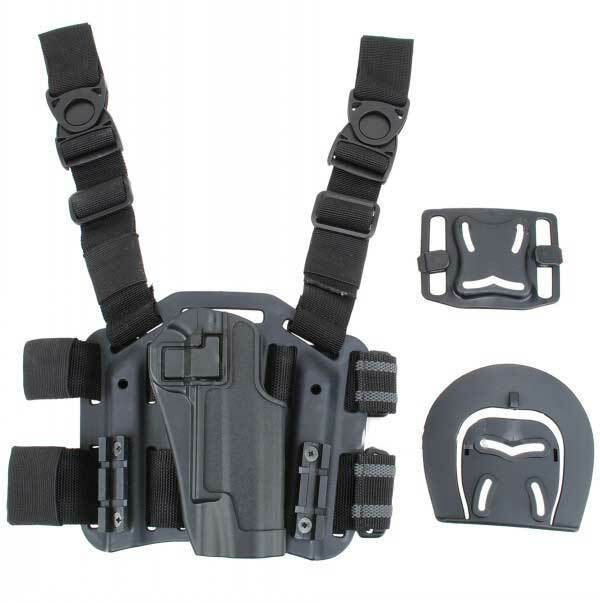 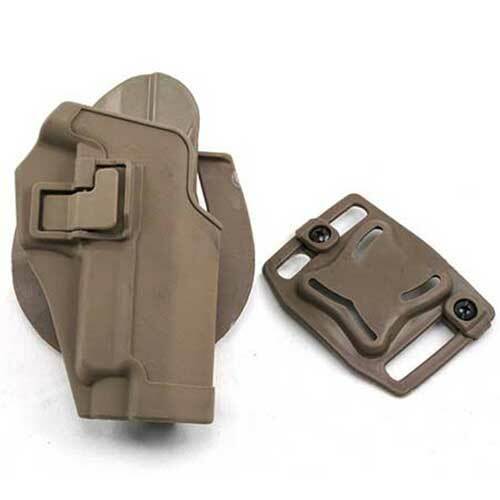 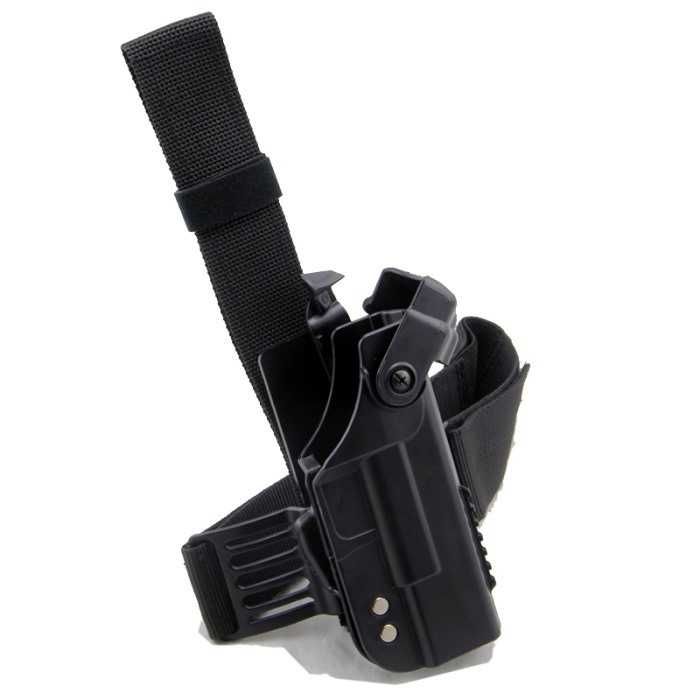 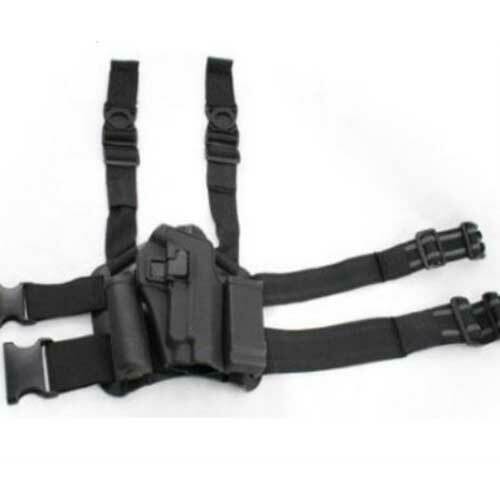 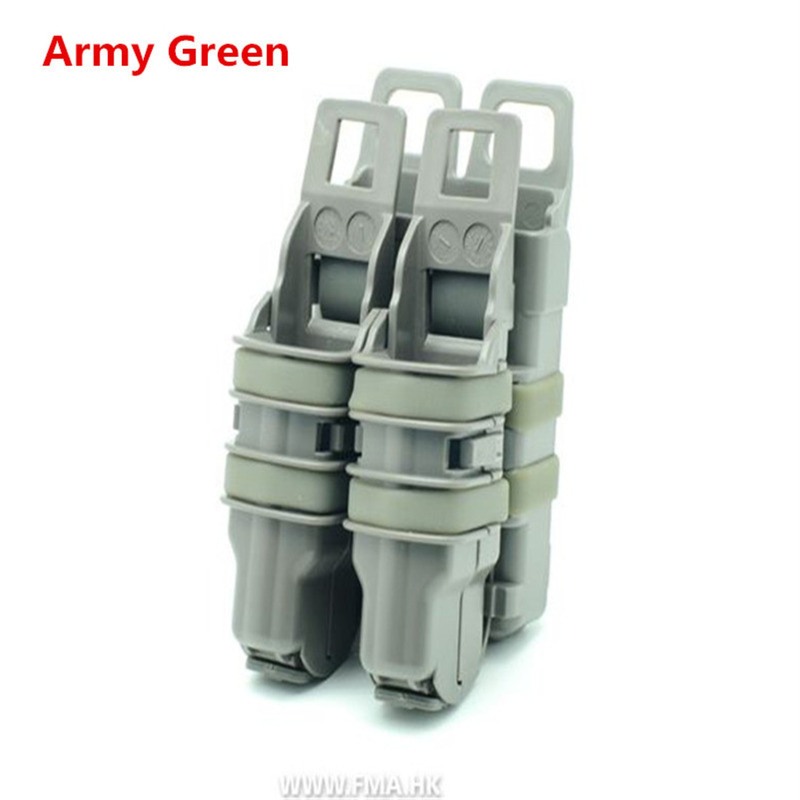 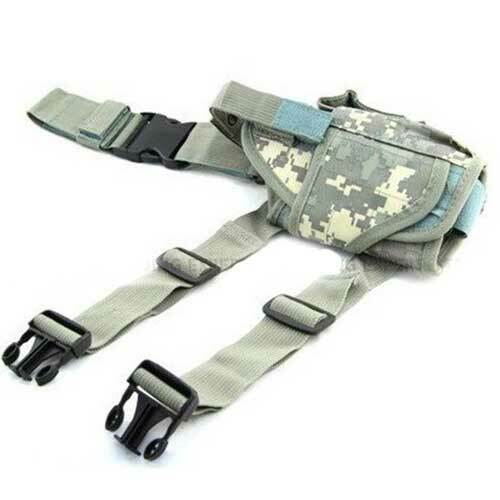 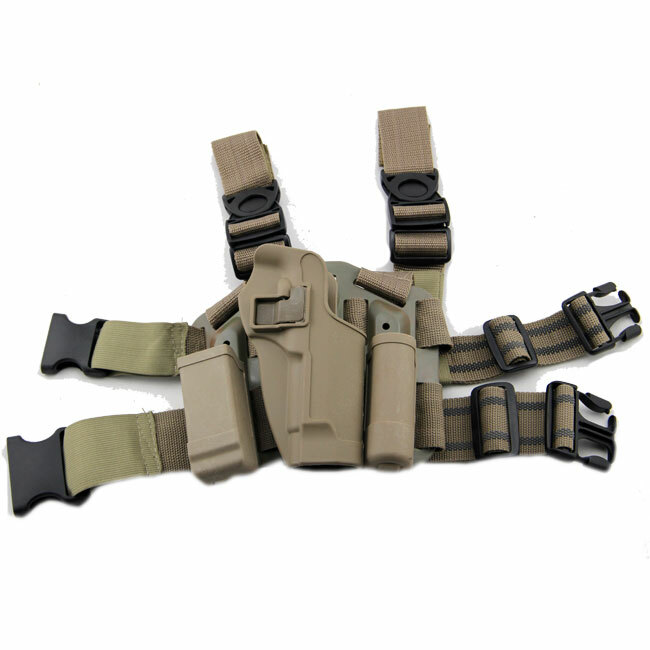 Airsoft Tactical Holster can be worn around leg and can attach to belt directly. 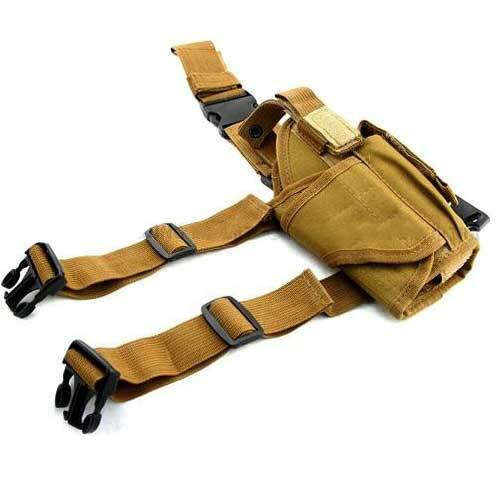 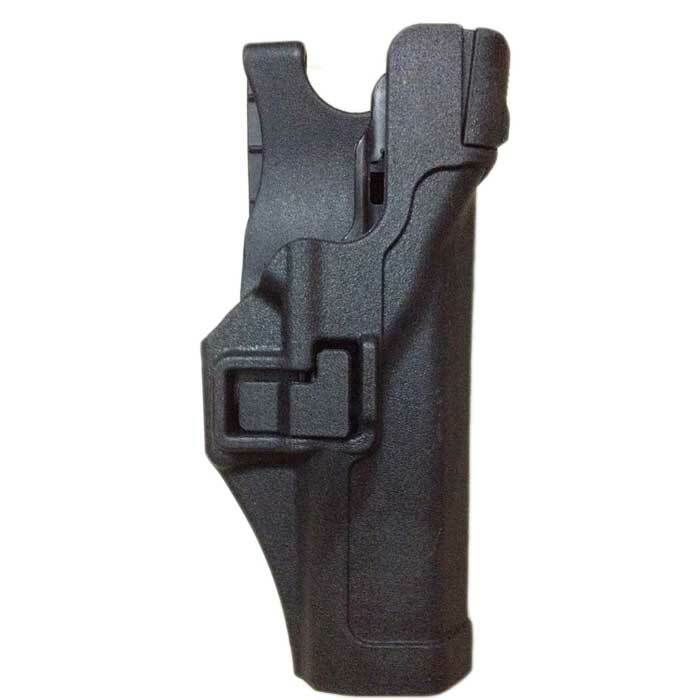 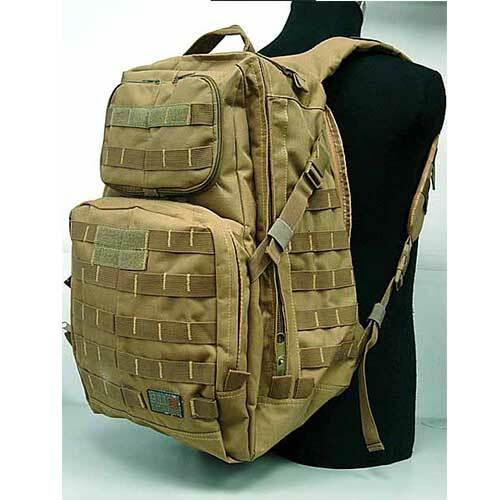 We also carry different style holsters for different pistols and different carrying positions, including tactical dropleg holsters, waist holsters, hard-shell polymer holsters, shoulder holsters, and even tactical scabbards for shotguns and rifles! 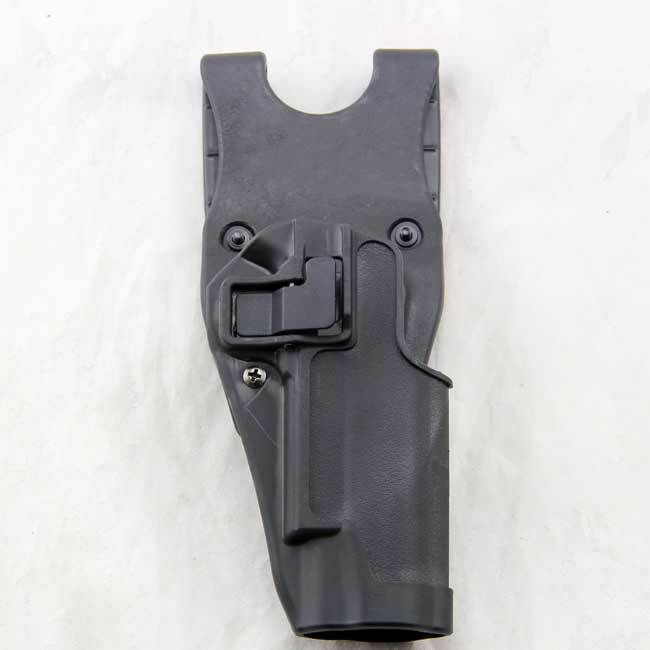 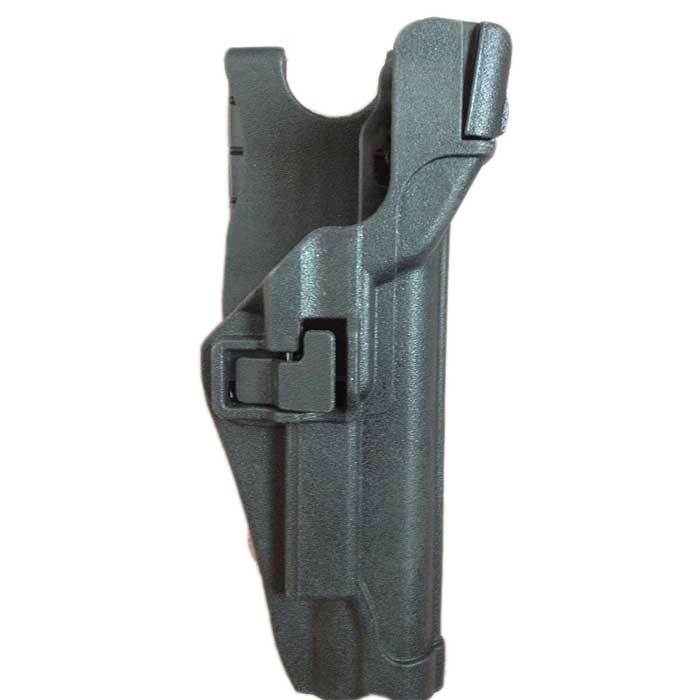 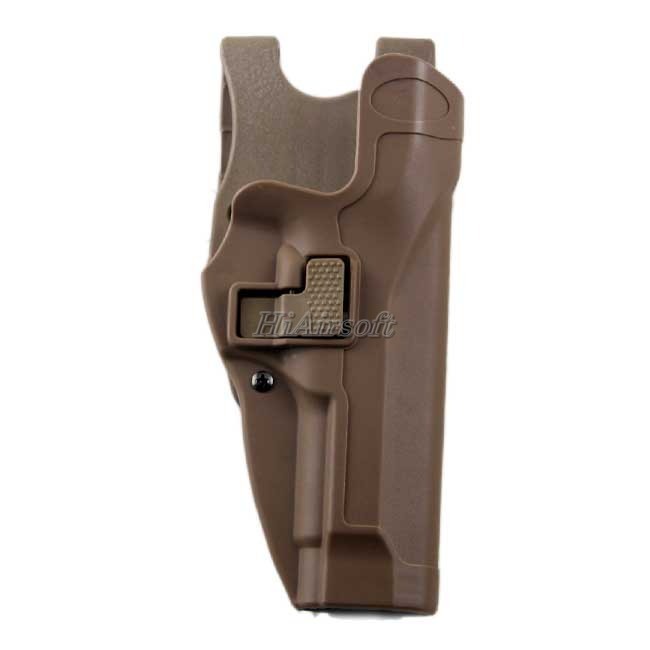 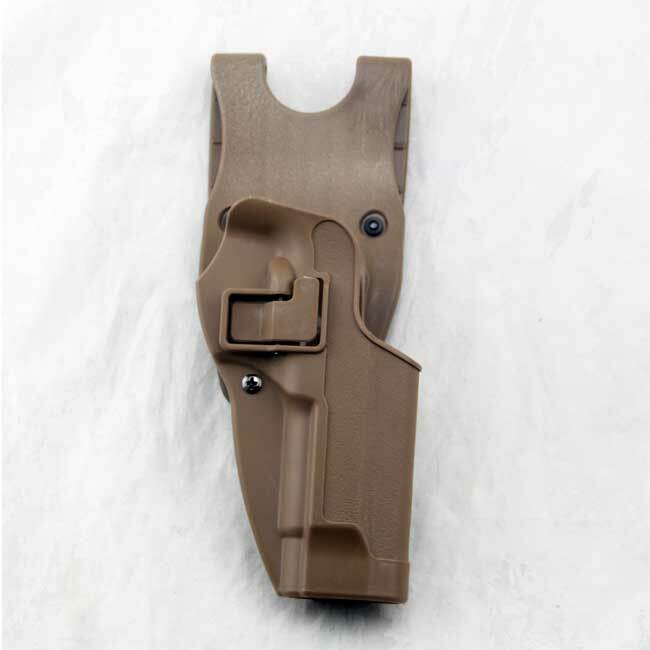 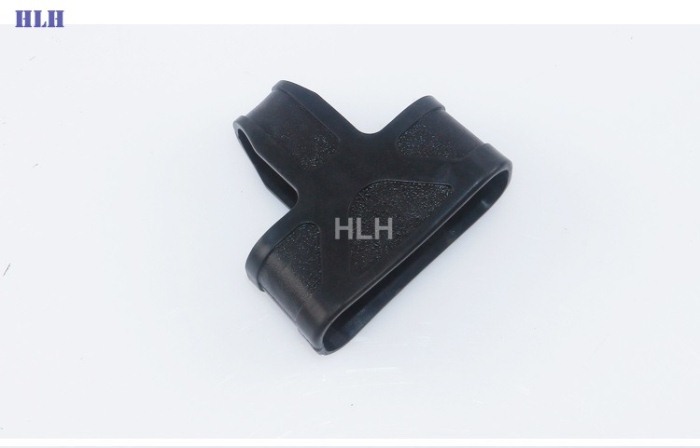 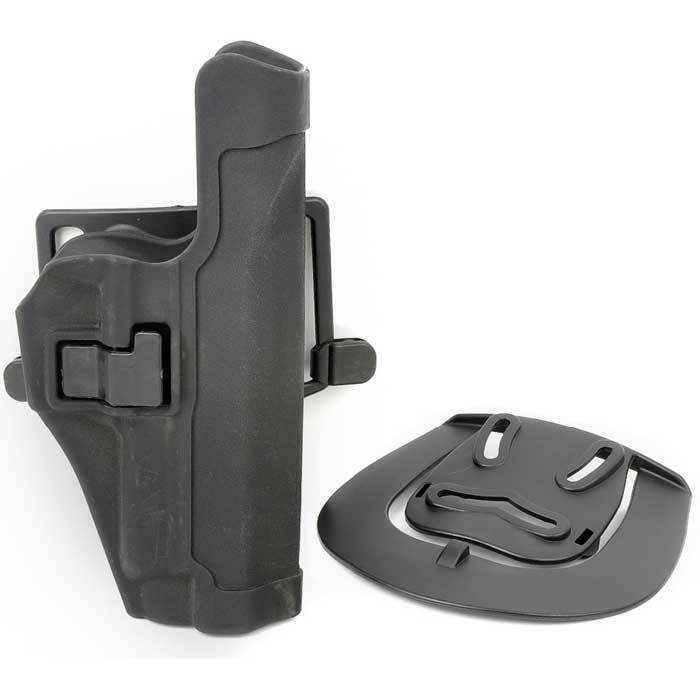 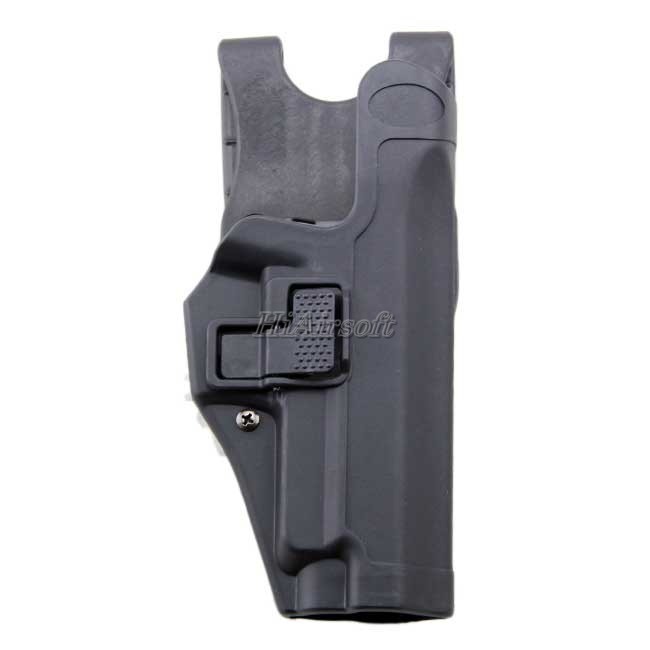 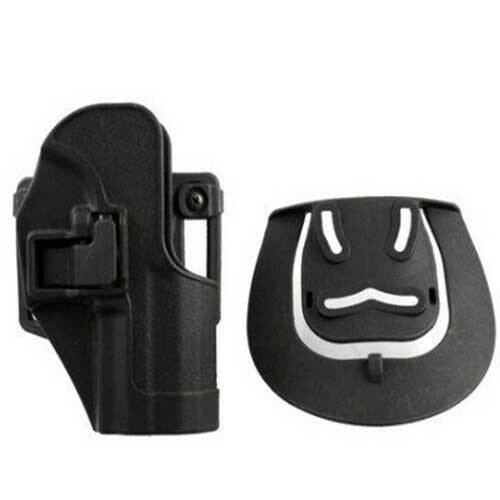 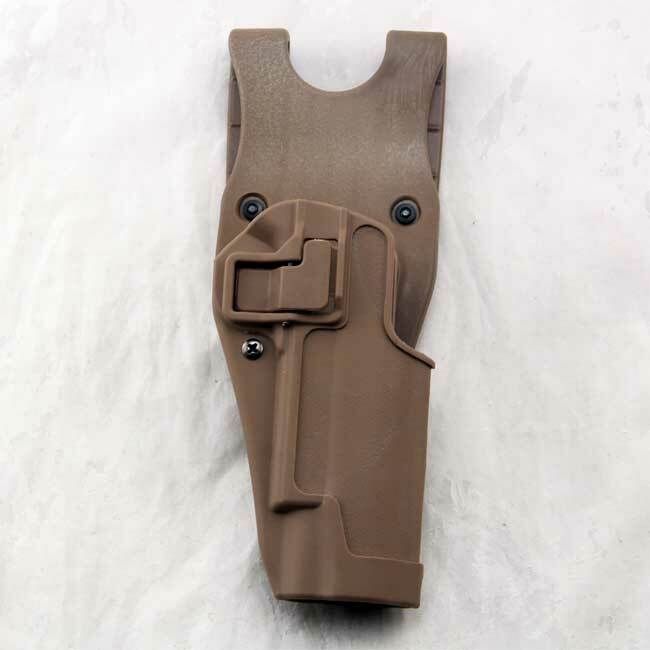 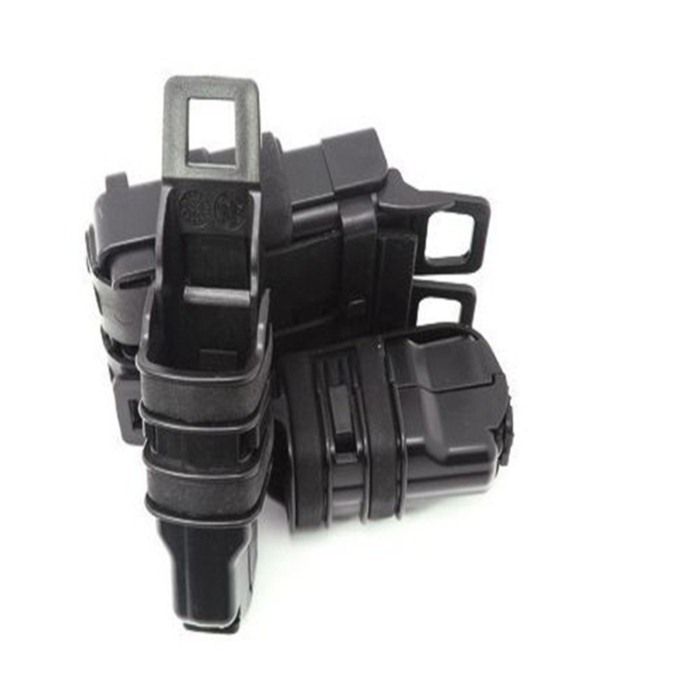 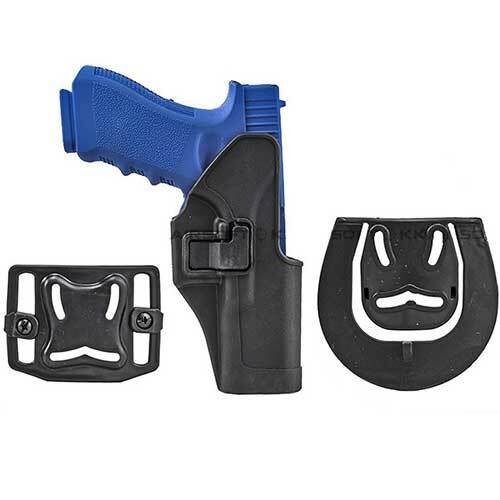 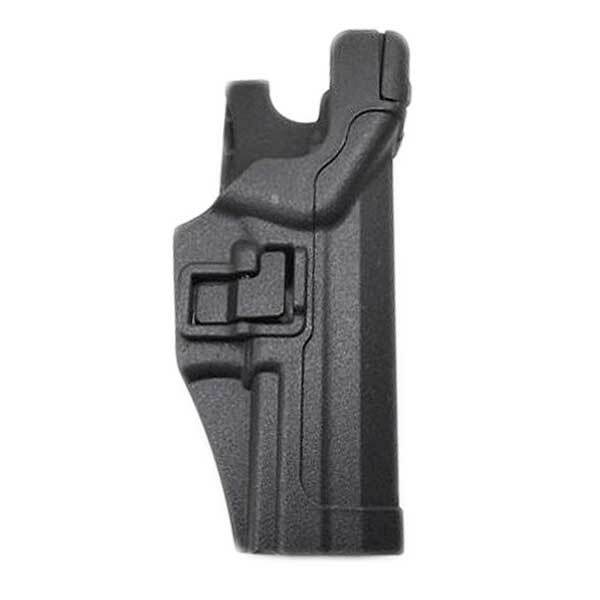 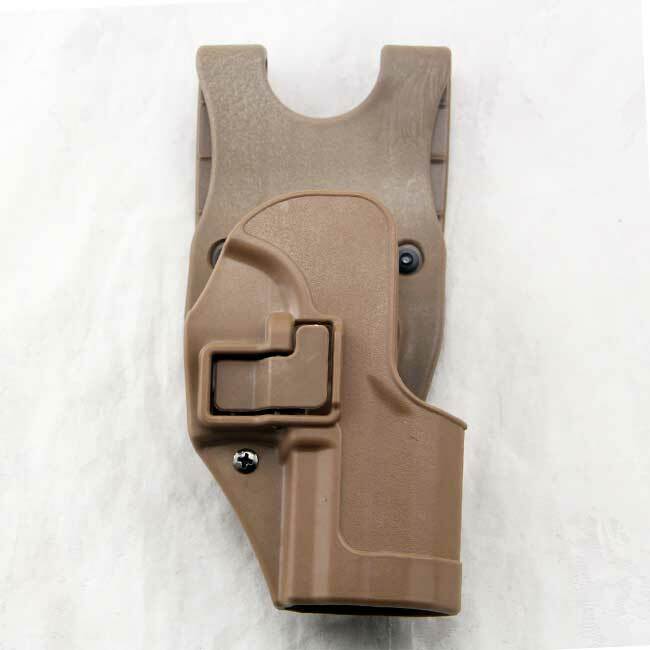 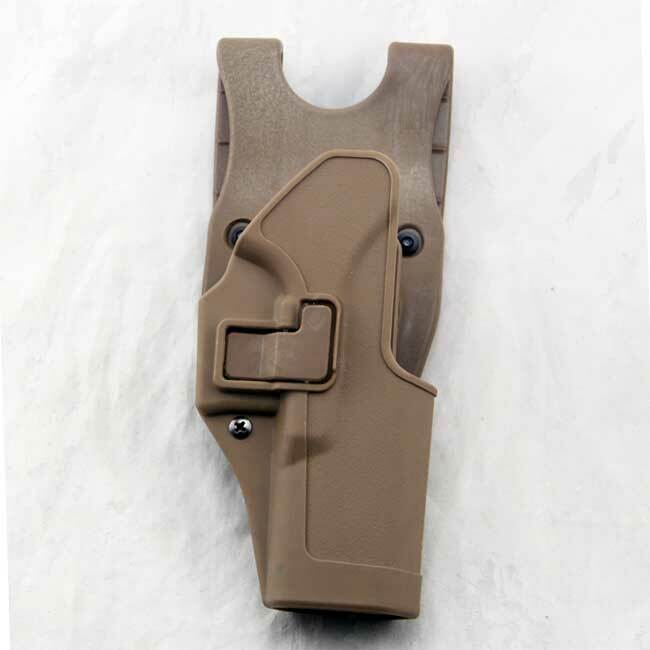 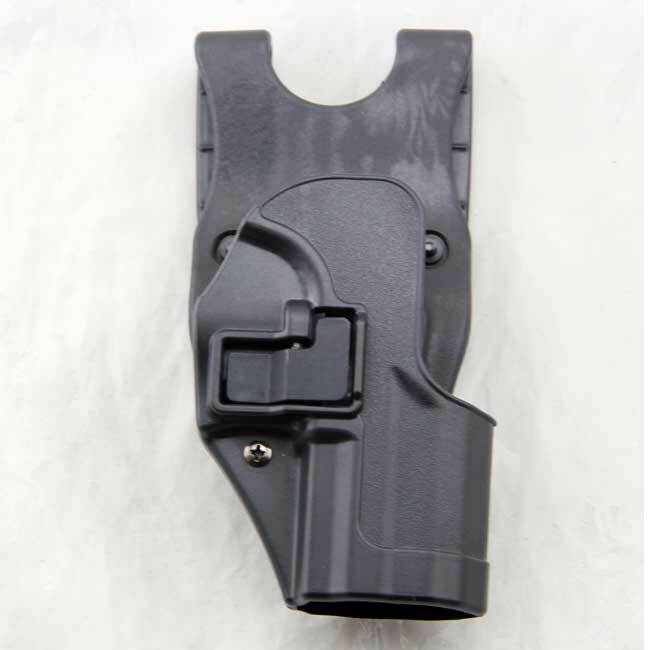 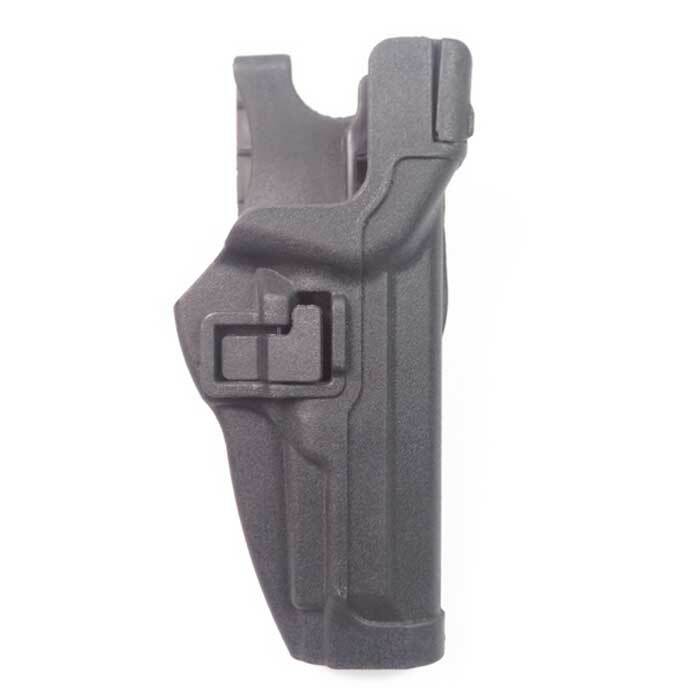 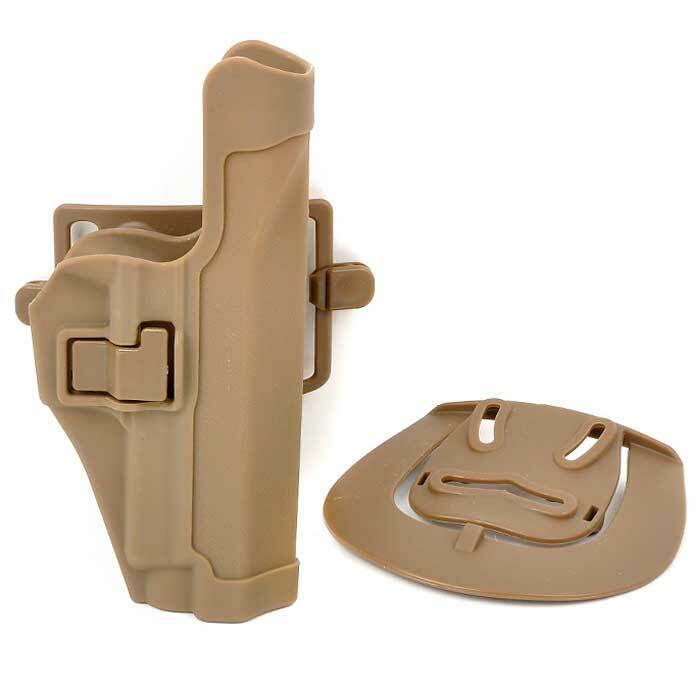 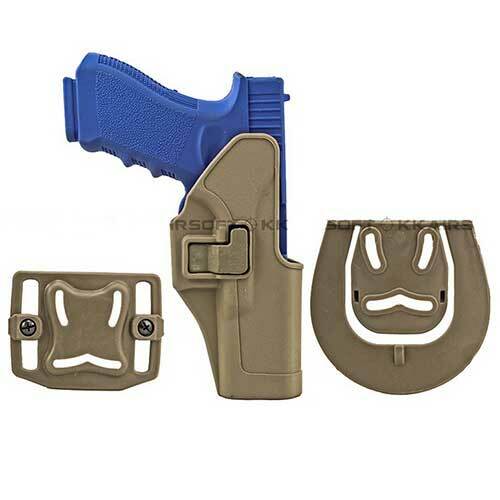 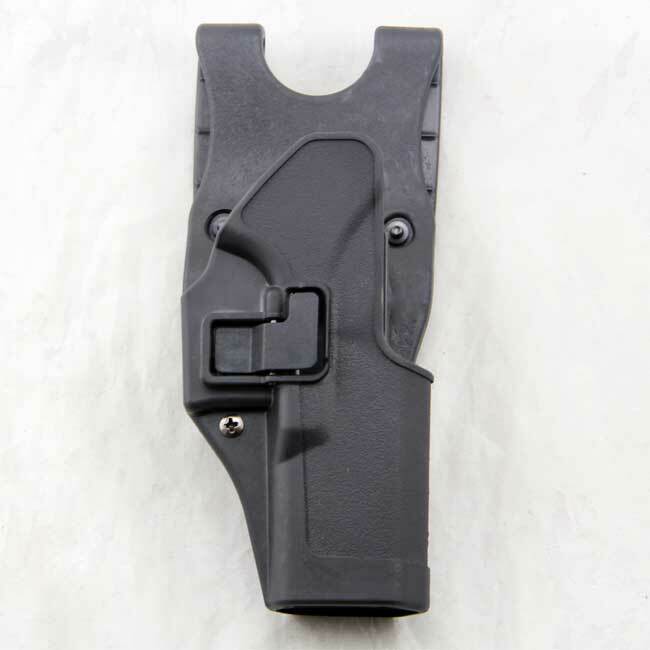 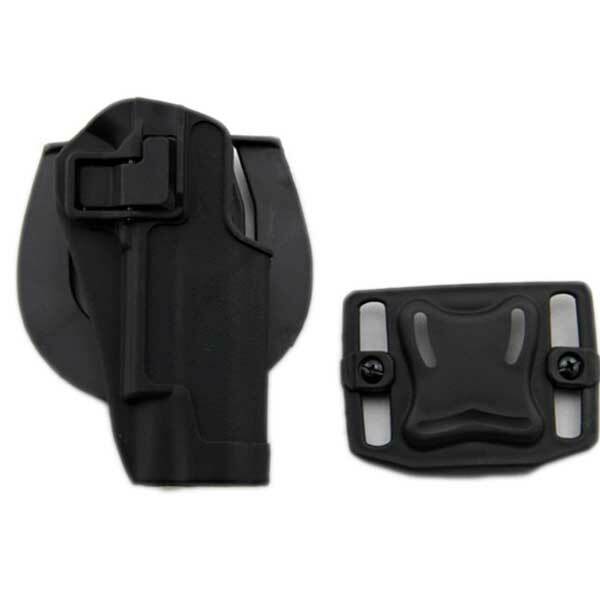 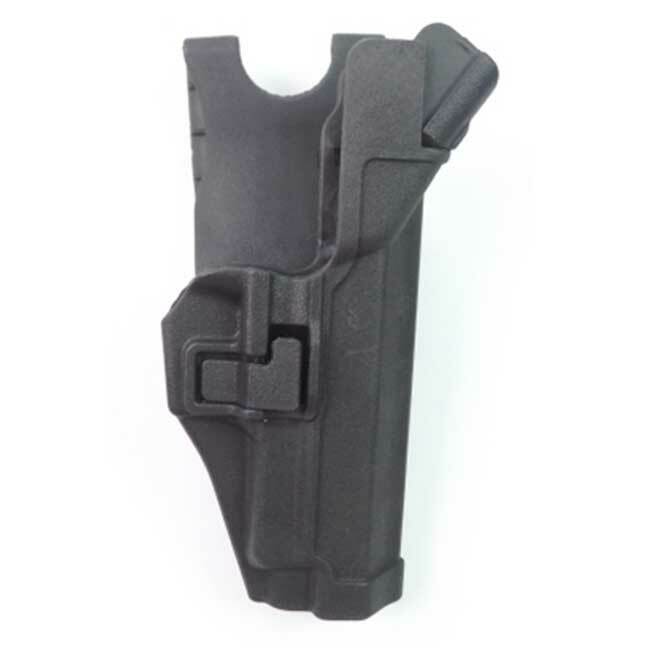 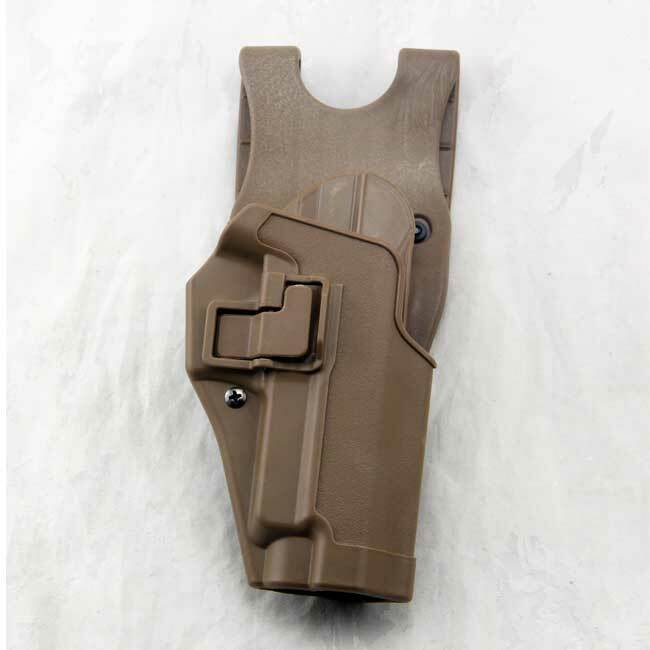 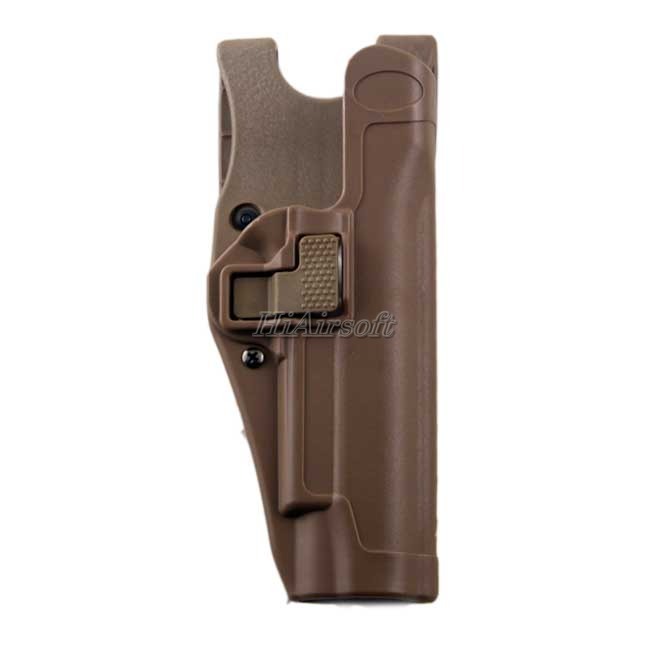 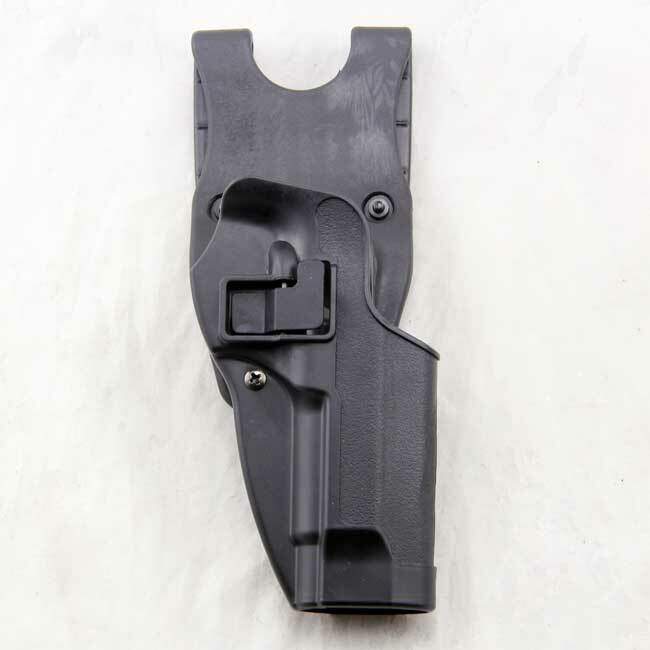 We guaranteed you will get the high quality holster with the lowest price!